The scale is very neat without any problem-causing cables or wires. You will never have to worry about a broken cable that forcing you stop working. The transmitter is protected by its sturdy aluminum housing. Both the transmitter and the antenna are featured magnetic systems so you can mount them anywhere on the scale - even bottom of the scale. 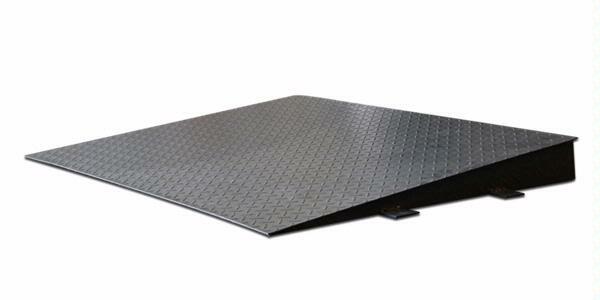 This revolutionary wireless floor scale can increase 50% of your work efficiency. Its wireless indicator can be mounted anywhere within 100 feet range away from the scale base. Imagine one person can complete the weighing from turning on the scale - picking up the pallet - place the pallet on the scale - take down the readout in less than one minute - without leaving the forklift. It is using RF technology that doesn`t require certain direction for signal reception. Both the trasmitter and the indicator come with rechargeable batteries which can last 200 hours of continuous use with full charge. 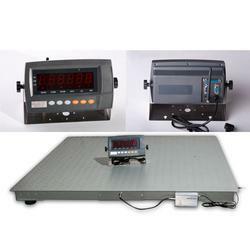 DIGIWEIGH is always offering great pricing for quality products, which makes high technology affordable. No exceptions here. We have great amazing price for this wireless scale that every warehouse can enjoy this worry-free scale. Four high quality alloy load cells ensures accuracy in full capacity range. 4` x 4` size. or 5` x 5` size. High quality wireless indicator with battery. Tare function covers unit`s full capacity range. With counting function, accumulating and check weighing. 100 feet powerful Transmitter in aluminum housing.